Our dedicated faculty will inspire and challenge you through the creative design process, nurturing and elevating your creativity. Along with computer skills we feel it is important to continue to educate students to use their hands in disciplines such as design, drawing, painting, and photography. This process provides a tactual and perceptive approach to visual problem solving. 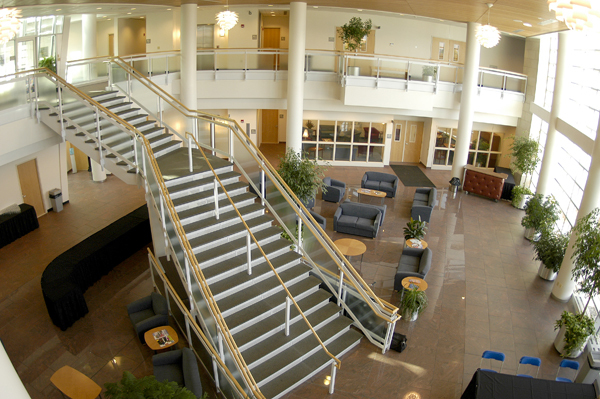 No other college I was applying to could compare to the facilities at Penn College. No other college had three full Mac computer labs with the most up-to-date applications and computers. When I did my internship, I found that I knew more applications than all of the employees there. The Gallery at Penn College strives to be an important instructional resource for students and a cultural asset to Pennsylvania College of Technology and local communities. The Gallery is dedicated to promoting art appreciation and understanding through its exhibitions of traditional and contemporary art in a variety of media. View The Gallery website.